HomeFinancial PlanningPlanning for a family? 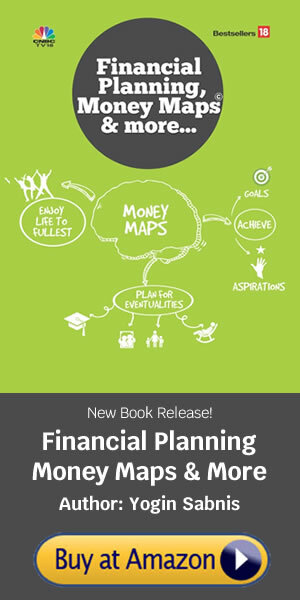 Plan your finances first! One time cost incurred on social functions in the range of Rs.30,000-70,000 like baby shower, naming ceremony of the new born, etc. Vaccination costs at periodic intervals till the child completes 10 years, starting from minimum of Rs.700-Rs.3.500. Massage costs of the baby (usually done for six months at least) about Rs.8,000-10,000 every month. In the absence of support system, if a full time maid is required to look after baby, then it costs around Rs.8,000-10,000 per month. Alternately, if parents arrange to put the baby in day care, it costs roughly around Rs.6,000-10,000 per month. Review income changes: Before your bundle of joy arrives, ascertaining income changes would help to stay prepared if you have a working spouse. She would have to check the maternity policy with her company. Also, she needs to find out if she can extend her leave beyond maternity and can afford to take leave without pay for few months. In the absence of a strong support system, your spouse may also decide to take a break from work and become a stay-home mom for a while. These factors are likely to impact the total family income, especially if your spouse is a significant contributor to it. Doing the math in advance will help you & your partner anticipate the likely monetary situation and will enable to rework on your budget, if required. Review your expenses: With expenses bound to rise in the post natal phase, it is important to manage cash flows diligently. Usually, new parents go overboard in shopping rather than spending on only the essential items for the child. Once you have reviewed your income changes, prepare a list of all your living expenses including potential baby costs and then adjust your budget accordingly. Cutting down on spending and getting into the savings mode will help to tide over additional expenses before the newborn arrives. Review your insurance requirement: With the addition of a new member in the family, your financial responsibility as the bread earner increases. It is thus important to enhance your life insurance cover as your child will be financially dependant on you at least till the time he/she finishes college. Avoid child plans as they do not serve any purpose. Also, add your child’s name in your health insurance policy. Create a contingency fund: Kids have a greater risk of hurting themselves and the probability of an emergency is thus more. Unexpected medical expenses related to child may crop up anytime. It is thus prudent to have a contingency fund which would help you financially during a medical emergency. Review goals: As expenses shoot up after the baby is born, the propensity to save reduces. Channelising the limited savings towards various goals appears difficult. And with the new financial responsibility of raising a child, it is easy to forget about personal goals. Creating a corpus for the baby becomes a priority as not just higher education but schooling has become very expensive. However, this does not mean you compromise on your essential goals like retirement. Continue your investments in the retirement kitty. If need be, postpone some of your aspirational goals for a while like buying a bigger car, house renovation, etc. As for education fund of the child, start investing small sums and you can bridge the gap later gradually over the years with an increase in income & savings. Preparing for parenthood isn’t just about buying tiny clothes and other baby items. A lot of financial preparation is required too. Laying a strong financial foundation early on will help to make your parental journey smoother in the future.